Goodbye, scarecrows. Hello, robotic nightmare wolf thing. 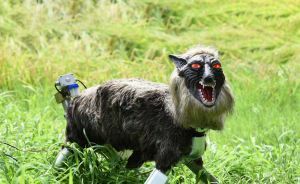 For the last eight months, farms near Kisarazu City in Japan have been home to a horrifying robot wolf. But don’t worry, it wasn’t created to terrorize local residents (although, from the looks of the thing, it probably did). Its official name is “Super Monster Wolf,” and engineers designed it to stop animals from eating farmers’ crops. In truth, the story of the robowolf is more than a little sad. As Motherboard reports, wolves went extinct in Japan in the early 1800s. The cause? A state-sponsored eradication campaign. Now, parts of Japan are overrun with deer and wild boar. They love to feast on farmers’ rice and chestnut crops. Obviously, farmers do not love this. 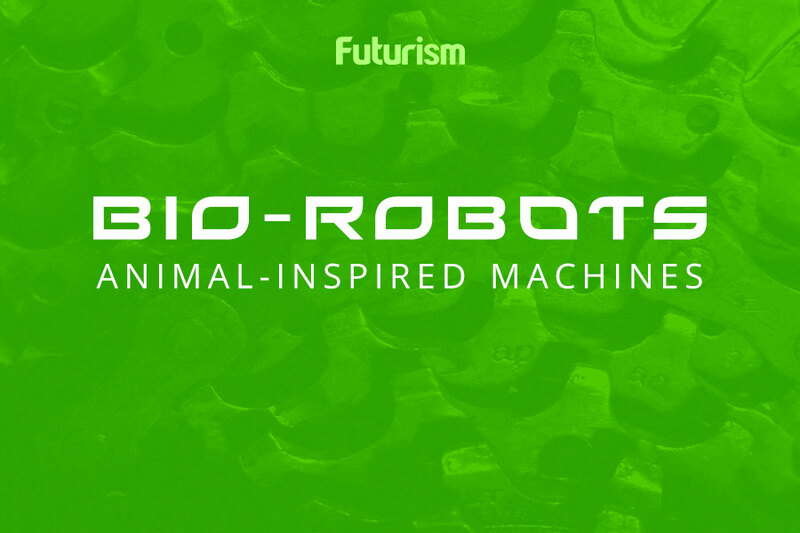 Fast forward 200 years, and humans create a robotic wolf to replace the species they killed off. But there is some good here. The first official trial of the robot wolf just ended and – surprise! – it was a resounding success. In fact, it was such a success that the wolf is entering mass production next month, Asahi Television reports. Ultimately, the trials revealed that the wolf has an effective radius of just about one kilometer (.62 miles), making it more effective than an electric fence, Chihiko Umezawa, of the Japan Agricultural Cooperative, told Chiba Nippo news. Anything outside that? You’ll have to invest in a few as, currently, the wolf is immobile. Still interested in something better than a traditional scarecrow? If you want a robowolf of your own, you can snag one for about 514,000 yen ($4,840). The price is, admittedly, a bit steep; however, the company has more affordable monthly leasing options. Of course, it would have been far cheaper to just not eradicate an entire species, but it’s a little late for that. The beast measures in at 65 centimeters (2.2 feet) in length, which is about the same size as an actual wolf. It also has tufts of gangly hair and an impressive set of white fangs. It uses solar-rechargeable batteries to sustain itself, and it detects intruders with its infrared ray sensor. According to the BBC, once the robot wolf senses a creature nearby, it uses a wide range of sounds, including a gunshot, a howl, and a human voice, to frighten away the would-be diner. Of course, any humans who are unfortunate enough to stumble into the vicinity are also likely frightened away by claps of gunshots, but I suppose that is the price we must pay for modern conveniences.